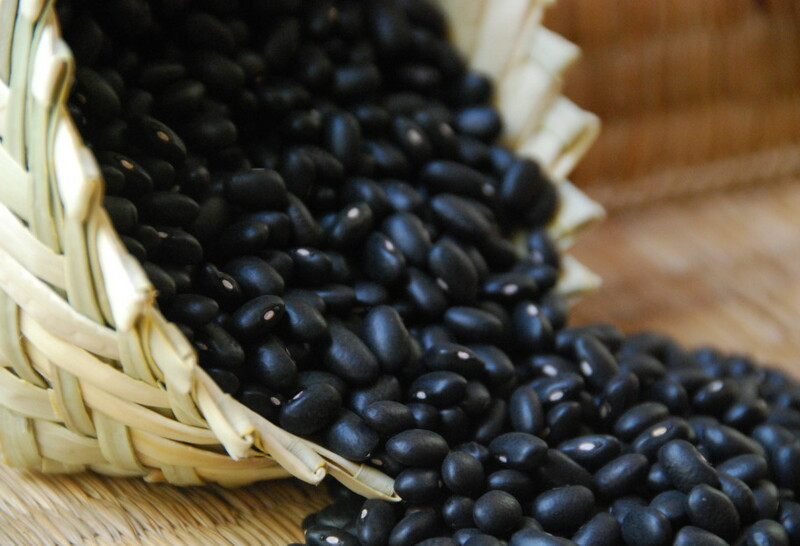 Beans are a crucial part of any Mexican meal, where the black bean is the most common bean used generally speaking. However, speaking regionally, it is favored in the Southern states and also in Veracruz. In the northern areas of Mexico, the lighter colored beans such as the Pinto are more common, and in the center areas, both kinds are eaten as well as Peruvian beans. With shiny black skins, they have an intense, sort of inky, flavor that develops while cooking. When cooking beans on an eletric stove what number would be happy medium simmer? Which is the best Mexican cheese for making things like melted cheese with chorizo etc. I am cooking beans lately, according to package and various recipes. And many times they will not soften. Even though I cook them on low ALL day with no salt. Black and Kidney are the worst. I must be doing something wrong. I’ve tried both methods of soaking and I still can’t get it right. Hi Lorena, When I cook beans, I do not soak them. I rinse them thoroughly, and then cook them at a happy medium simmer, partially covered, for about an hour and a half. I also always add the salt near the very end (after approximately an hour). Adding the salt in the beginning toughens them up. I hope this can help you a bit. Please let me know if you have more questions.